Kurta is a long free shirt, the length of which falls beneath or might be simply over the knees of the wearer. In early circumstances, designer kurtas were basically a part of womens clothing, yet today, that gent's kurta has turned into a unisex kurta pattern that men and ladies can wear. Contingent upon one's close to home inclination, the Kurta style can be collaborated with a churidar and also a free fit salwar. In the contemporary circumstances, numerous adolescents wear kurta alongside a hip match of pants. New kurta design is an extremely versatile ethnic wear that can be worn for formal and also casual events. Numerous even wear kurta shirt at work. Most Indian men favor wearing short kurta pajama amid the night, and it is because of its extraordinary solace that it has turned into a well-known decision among the other nightwear accessible. 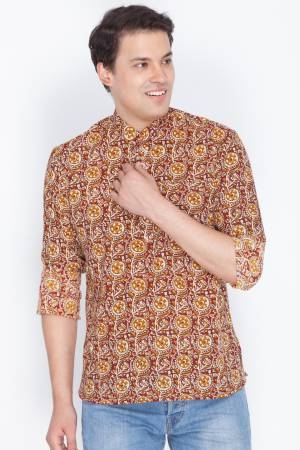 Customary Kurta-Pajama is very well known among the youths, who lean toward wearing them in their casual get-togethers, with the essential thought of keeping up their very own particular kurta style. 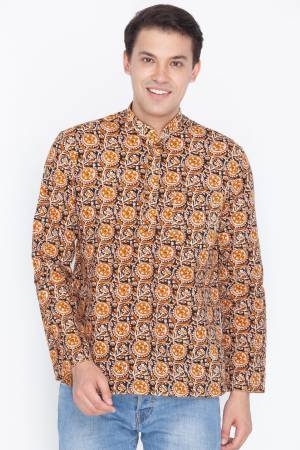 A fascinating thing about the man Kurta pattern is that its sleeves don't limit (as on account of the vast majority of the sleeves outlined in the western kurta style) and fall straight to the wrist. A designer kurta does not have bound sleeves, and its side creases are left open for the simple development of the wearer. The conventional latest Kurta designs don't have any neckline, and their openings are typically focused on the chest. 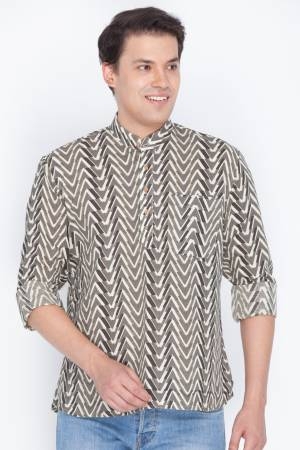 Be that as it may, the cutting edge Kurta patterns have experienced a noteworthy change and had to stand up collars, for example, the Nehru neckline. Mens Kurta patterns are useful for open to dressing and are extraordinary for both formal and easygoing events. They are without a doubt tasteful and exquisite, which is the reason they never leave mold. The Indian subcontinent brought forth the well-known customary clothing - the Kurta. The word has its birthplaces in the Urdu, Hindustani dialect and has additionally got the name from the Sanskrit word kuratu or kurtaka. In Persian, it indeed implies a collarless shirt and this kurta shirt, in reality, is a collarless dress. 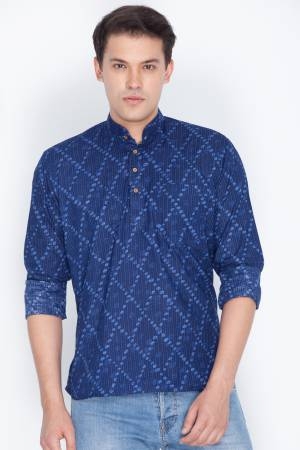 However, a few variations in different stylish kurta for men have a neckline. The latest kurta design is worn in nations, for example, Nepal, Pakistan, Afghanistan, and Sri Lanka alongside India. 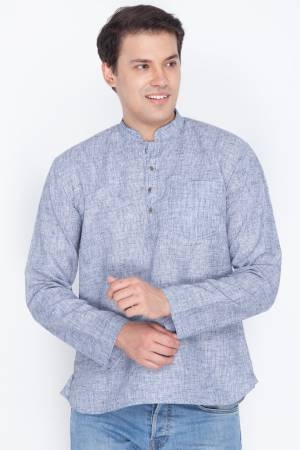 Kurta for men is worn with night robe, pants, pants, Dhoti and Lungis as well and is sewed in textures like cotton, silk, voile, jute, khaki, and kota. Gents kurta designs are a piece of ethnic wear, and there are distinctive assortments of Kurta patterns relying upon their plan and texture. One sort of Kurta is called as the Kali or the Kalidar Kurta style that was propelled by the ghagra or lehnga style. This new kurta design has rectangular boards on both the sides and a few pieces are sewed together to give it a one of a kind look, which resembles a gown. These Kurta patterns are made of cloth, cotton, and silk. The pear-formed body shape: Display your fit abdominal area with fitted bodices that flare from the abdomen down. The tunic kurta style with decorated neck areas that complement the best parts of your body look incredible. Avoid figure embracing textures that stick to your hips and thighs influencing them to appear to be more extensive. Apple shaped or fat body: Free-streaming textures and A-line slices with Slipovers to divert from the overwhelming upper middle. Cotton textures tend to fit your body well and dim shaded kurta style loan a thinning impact. Match men’s kurta with tights or churidars to attract thoughtfulness regarding you astounding legs. The hourglass-formed body: If you are honored with an hourglass figure which we as a whole pine for, you most likely don't have to battle excessively with outlines and textures and are spoilt for decision. If you have it, indicate it off! Display your figure with various removes, however, remain from loose, free-garments that shroud your best resources. Wear fitting gents kurta designs and flaunt your style. The athletic or banana molded shape: Shape complimenting stylish kurta for mens with wide and profound necks and delicate flares that give you bends. Explore different avenues regarding shifted kurta designs like these can enable your body to look stunning. In any case, guarantee that your men’s kurta pattern is neither too tight nor too free as this will just amplify your body write. Combine men kurtas with thin churidars, thin stockings or even voluminous patialas to supplement your body. You can get every single outline in men’s kurta online that you are searching for at this web-based shopping site. We do all that we can to ensure you a smooth shopping knowledge – keep in mind to influence utilization of Craftsvilla's simple 30-day to return approach, speedy conveyance includes, money down the office and that's only the tip of the iceberg. Boys Kurtas of all shapes, sizes, and hues anticipate you – don't pass up an excellent opportunity for the chance to look brilliant in staggering ethnic attire. Make all your most loved styles you're own particular while giving them your own particular individual styling touch by wearing white or black kurta. Shop for boys kurtas online on Craftsvilla and fulfill all your closet needs zero issues! You can pick a black or white kurta of your decision by keeping different elements like the sort, sleeve, neckline, fit, length, shading, and many such individual inclinations as a primary concern. We offer very much composed kurta design for man at outstanding costs too. 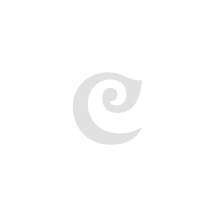 Regardless of whether you need kurta(black kurta or white kurta) for formal events or easygoing trips, you have a few alternatives accessible on Craftsvilla. Investigate the gathering wear stylish kurta for men that accompany restrictive plans, on the off chance that you need something for an extraordinary event. From weaved kurta to printed kurta, strong kurta to creator kurta, long kurta to short kurta, we have all the latest kurta designs and styles in our accumulation. Furthermore, these are given to you in an assortment of sizes so that there is something for everybody. Look advanced and get compliments from everybody when you wear these kurta design and gents kurtas with coordinating base wear and frill. Be it the Anarkali kurta or the kaftan kurta, the A-line kurta style or the cutting edge kurta pattern, you simply need to name it, and you have it on Craftsvilla. Moreover, we have these kurta for men in various types of textures with the goal that you can get the kurta that will keep you agreeable too. Make Craftsvilla your one-stop internet shopping goal, where you get all the kurta design and way of life stock with great rebates and energizing arrangements. You can shop for the regular deal and also bubbly deal. Additionally be a piece of advantages like money down, bother free returns and various instalment modes offered to the clients.